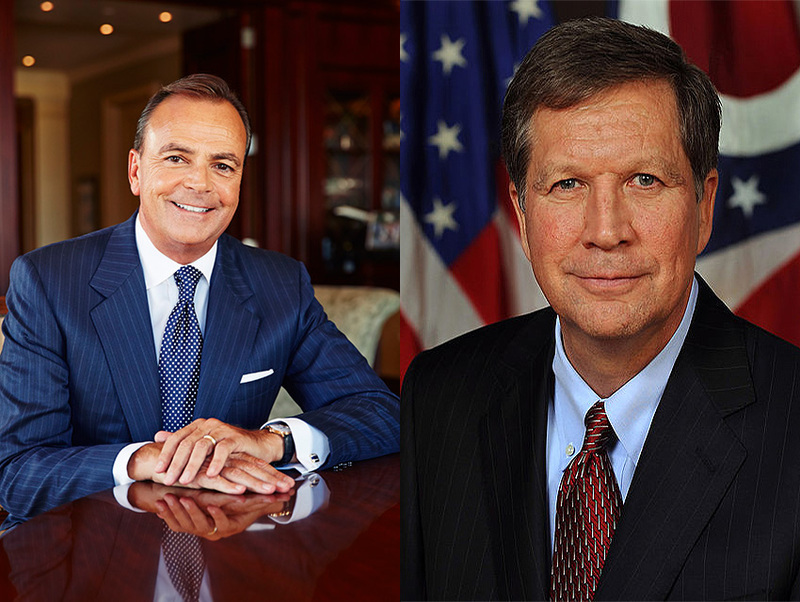 We chatted with Caruso briefly via phone about his reasons for supporting John Kasich, and what exactly he doesn’t like about G.O.P. front-runners Ted Cruz and Donald Trump. Do you worry that supporting any one candidate could alienate consumers and other visitors to your properties who don’t share your affiliation? I do. But I also think all of us need to take positions, and as long as positions are well thought-out, people respect that. I didn’t get involved in this campaign earlier because of the way it was being conducted. But supporting John Kasich is supporting somebody that actually knows how to conduct himself in public and hasn’t taken [the race] into the toilet like Cruz and Trump. California is a blue state. What do you think you can do for Kasich here? The good news is that for the first time in many, many election cycles California votes actually count. They will matter, especially on the Republican side. A guy like John Kasich—he’s strong on national security, he’s strong on the business side, but he’s also much more moderate and balanced in terms of personal issues, which plays very well in California, particularly in Los Angeles where [people] don’t want someone way to the right. But Kasich is anti-abortion. With at least one Supreme Court seat in the balance, isn’t there a chance he could roll back reproductive rights? I don’t think so. That decision is so decided. Nobody is going to go do that. There are much more important things to be focused on than trying to change Roe v. Wade. What issues are really important to you? What is important to me in this race is finding somebody that can actually conduct themselves in a thoughtful, mature way that represents the best values of this country. And then on top of the list is national security. You can’t have somebody, a nominee or a president, that has no experience in dealing with that. And then the economy. We’ve got to continue to grow this economy and have more people get jobs and we’ve got to build up the middle class. If Kasich fails to secure the nomination, will you vote for Cruz or Trump? I’ll make that decision then about Cruz. I’m sure he is a very smart guy, but he has spent his career being a legislator, and that’s not governing. But under no circumstances could I see myself supporting Trump. To put him in charge of my future—I couldn’t think of anything more horrifying. I don’t think he’s educated himself on the issues that are important to this country. I think he’s made a fool of himself, and I think he’s incited people to be violent in their tone and their actions. I wouldn’t allow my children to conduct themselves like Donald Trump.